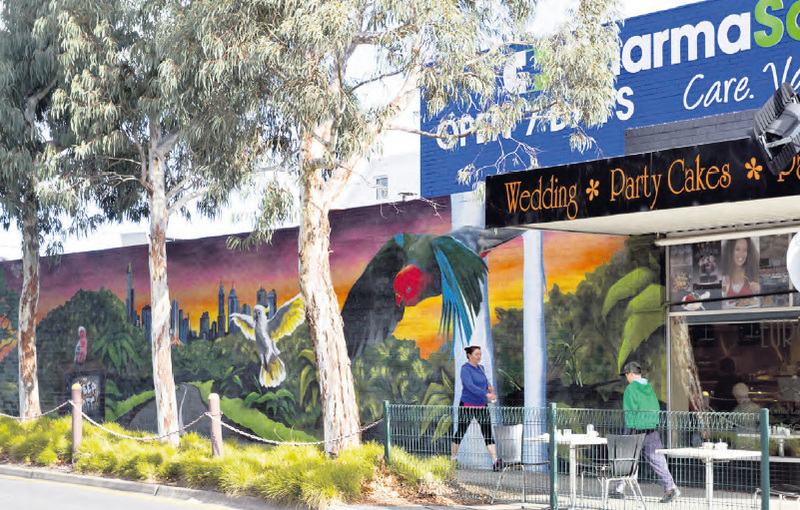 Knox Council is preparing a masterplan to improve the park located between Jack’s Cafe and Mad About Pets beside Adele Ave in the Mountain Gate Shopping Centre in Ferntree Gully. With your help, Council plans to make the park a better community asset to reflect the changing needs of the neighbourhood. You are invited to tell the council what sort of things you like to do in a park, such as exercisng dogs, walking, jogging, tai chi, just relaxing, picnicking. Would you prefer a quiet green space or an adaptive active space connecting residents in a variety of uses? There are lots of options. Don’t miss your chance to have a say. Contact Knox Council by visiting the Knox Council website knox.vic.gov.au and search for Mountain Gate Place Program, or email them at mountaingatepark@knox.vic.gov.au. In early 2016, the eastern car park will be upgraded and re-asphalted in the evening. There will be preparation works (concrete alterations, tree maintenance etc) which will take a few days. The asphalting works will be completed within 2-3 nights. All works will cause a minimal disruption to customers. In addition, the layout is being looked at to make improvements for safety. Update of the bus stop. The work has started on improving the bus stop and replacing the old unstable ramp. This will take approximately three weeks. Re-asphalt on the eastern car park. This will begin in late February and will not cause much disruption as most of the works will be done in the evening. Preparation of the concept masterplan for the reserve is also beginning this year. Your thoughts and input on the plans for the reserve will be much appreciated. Work on the eastern end of the shopping precinct is nearing completion with the new concrete and landscaping essentially completed. The only work left for the eastern end is the installation of seats, bins and bike hoops. The landscapers will return to roll the grass and ensure it has an even surface. It’s been a long winter with plenty of cold wet days, so it will be encouraging to see the new leaves coming on the trees, indicating that spring is here. The priority now is to complete the Town Square. this area is concreted and hardened, the contractor will progressively open this area to pedestrian traffic. permitting, that the Town Square will be completed in four weeks. Work is well on its way along the western end. Already the area around the restaurants has been completed. The concreting in front of the shops has continued toward the Town Square. Work is still on schedule to finish in November and Council and contractors really appreciate the customers’ understanding and support to the shops. It is impossible to undertake works of this nature in a busy shopping centre without any disruption. By the end of November, the shopping centre will have a fresh new look and access along the footpath will be much safer and easier. proposed or in planning to refurbish public open spaces in the Gully. out by students from Fairhills High School under the direction of artist Andrew Bourke. the integration of painting and street life. completion of Streetscape works in Mountain Gate. still on target for a finish in November. We would like to encourage people to continue shopping in Mountain Gate and thank them for their patience and understanding! View looking south-east from Mad About Pets, looking south to the local reserve and east up the Cruiseway. Changes are underway at Mountain Gate Shopping Centre with major works to begin after Easter. Since January, a new pedestrian crossing to the toilets has been constructed; a new taxi pick up and drop off point installed; and new public toilets and bus shelters are well on the way to being completed by mid April. A special art project will also be completed by the end of June. The works will be completed over several months. communication to keep everyone informed on the works. Council anticipates the construction to be completed by November 2015. The new toilets and bus shelters are nearly completed. The old toilets have been replaced by modern and safer facilities. They include two unisex family friendly toilets with baby change table and two unisex accessible toilets. from the public toilets. A new pedestrian crossing has also been installed to provide safe access to the toilets. The Euro Bakehouse Café wall will soon be transformed with a locally inspired aerosol art mural as part of the Wall to Wall Mentoring Program. This project is a collaborative and innovative community mentoring program funded by the Department of Justice, which seeks to improve public areas and community safety through the use of art in public spaces. This project is led by renowned international artist Andrew Bourke in collaboration with Council, Fairhills Secondary College and the Mountain Gate Business Association. Six Year Ten students from Fairhills Secondary College have been working with Andrew and the Mountain Gate Business Association to decide on a theme for the Euro Bakehouse Café wall.They presented the draft drawings to the Business Association. Once the drawing is finalised, Andrew will create a more detailed concept drawing which will be painted on the wall by the students and artist. It is anticipated that the mural will be completed by the end of June. You can also visit Council’s website. 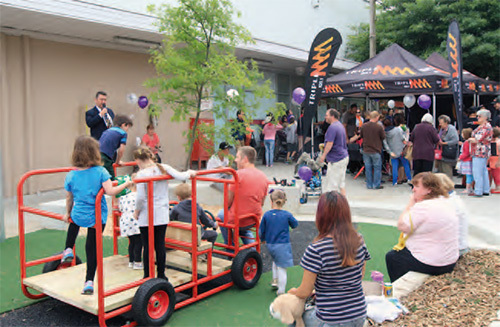 Mountain Gate Centre is one of the winners in Knox Council’s budget for 2014-15 with nearly a million dollars for streetscape renewal, bus shelter and toilets. Replacement of poor pavements will be especially welcome. needs and renewal of existing assets. Your responses are invited. See the Council website for details. The Mountain Gate Post Office has moved to a new, modern building at shop 36 Mountain Gate Shopping Centre, opening officially on Friday the 1st of November with official guests in attendance. The post office has been upgraded in order to cope with the increase in demand from growing numbers of customers, both business and domestic. Now twice the size, the new post office offers a new secure atrium with a significant increase in P.O Box availability. There is also much more storage for holding stock, as well as to cope with the increase in parcel movement due to online shopping. Other new, improved features include wider aisles, with four terminals for faster service, and self-opening door entry with ramp to cater for those with special needs. So next time you are down at the shops, be sure to check it all out. 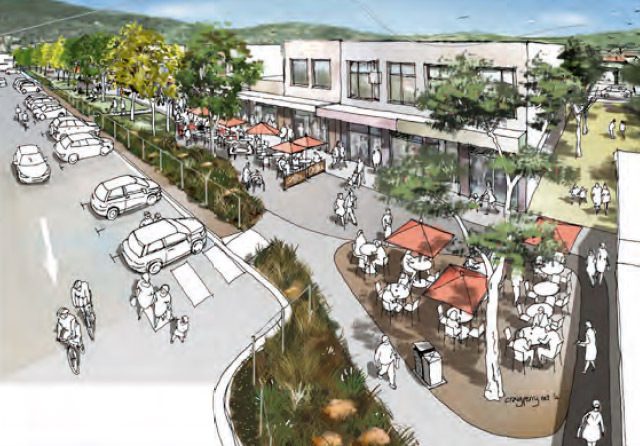 The Streetscape consultation process on refurbishing the popular Mountain Gate Shopping Centre has now moved into another phase. 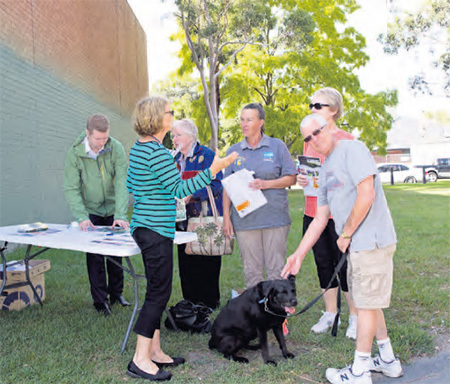 The many suggestions made to Knox Council after the first meetings have been sorted and are now being prioritised. a dedicated transport hub with covered bus stop and clear pedestrian pathways. Obviously there is a budget and some hard choices will have to be made. If you missed a chance to comment you could still email jane.kutchins@knox.vic.gov.au. A final plan will be displayed for comment in September 2013.